From the Emeril empire comes this medium-thick sauce that has a few off notes mixed in with a strong punch of onion and vinegar out of the jar, and almost no flavor at all after cooked. Although not horrible, this is one sauce that can definitely be skipped. You must be living under a mighty large rock if you're not familiar with Chef Emeril Lagasse. A certified super star chef, complete with 12 restaurants, 15 books, multiple television shows, and catch phrases, Emeril has built an empire around his interpenetration of Creole cuisine. 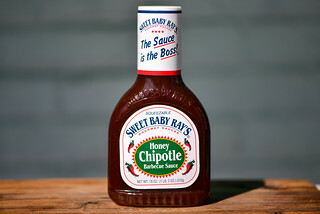 He started his food merchandise line in 2000 in a deal with B&G Foods, who produce and distribute this sauce. Since 2008 the Emeril product name has been under the control of another food icon's conglomerate, Martha Stewart Omnimedia. 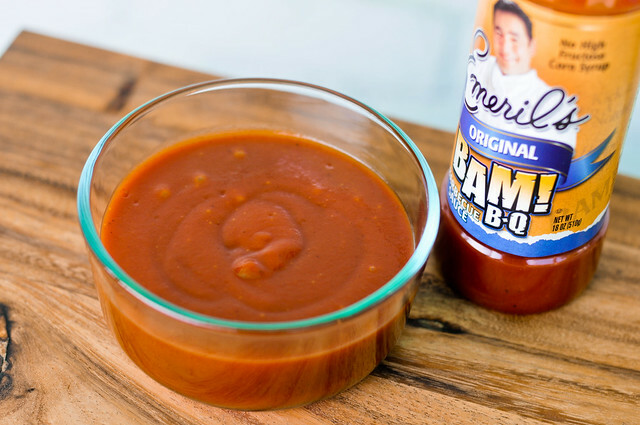 With so many corporate hands in the equation, I personally find any claim that this sauce is a product of Emeril himself dubious, even if the bottle's description ends with a quintessential Emerilism, "So don't just barbecue, Bam!B-Q." The tingle left in my nose seemed to be caused by equal parts vinegar and onion. A sharp liquid smoke cuts between those two dominate smells, and what's discernible beyond that is a little tomato and faintly sweet. This reddish-orange sauce is opaque with only a few specks of black pepper visible. It's right in the middle of the thickness scale, and comes off a suspended spoon in globs, not an even pour. 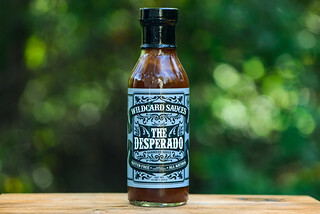 There are multiple waves of flavors from the time the sauce first hits the tongue until it's fully dissolved. Initially there's a strong taste of onion, followed by vinegar, neither bad. Then things take a turn for the worse as the sauce becomes slightly pungent and burns into the taste buds. 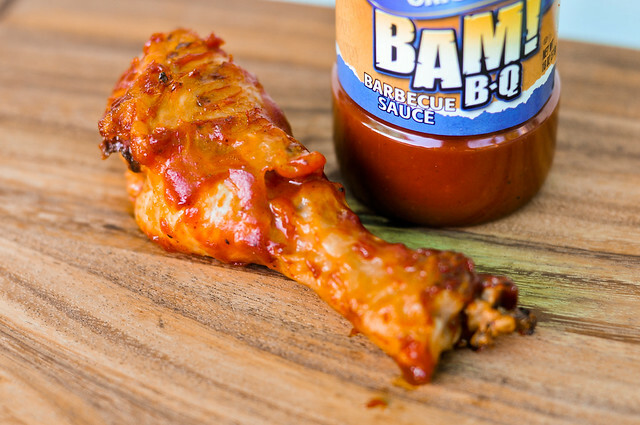 The liquid smoke and artificial ingredients seem to dominate here, as the sauce starts to take on an unnatural flavor and texture. Unfortunately, this final stage is what's left in your mouth, making a second spoonful pretty unattractive. Blah. That was my first note after eating the cooked sauce. The off flavors didn't come through on the chicken, but nothing else really did either. Staying gloppy and not caramelizing, the chicken was not very attractive and the sauce seemed to just make it messier to eat over adding anything of value. Although not the worst sauce I've tried, I can't really recommend this for anything. While the flavor out of the jar was a little off, after being cooked it had barely any flavor at all. 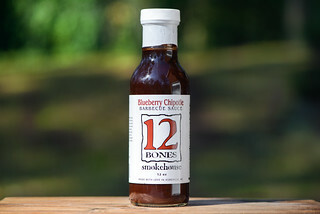 If you're at a grocery store and this is the only sauce available, it's not going to kill you to get it, but if there are other choices around, you probably don't need to "Bam!B-Q." 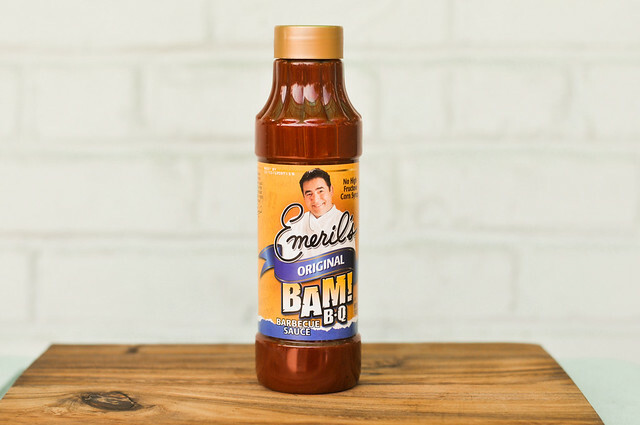 I bought some Emeril bam bbq sauce at a grocery store couple months ago, now I am unable to locate it at any grocery store near Shelby, NC, can you please let me know who sells this fabulous sauce, it is so expensive to order off internet due to shipping being so high.